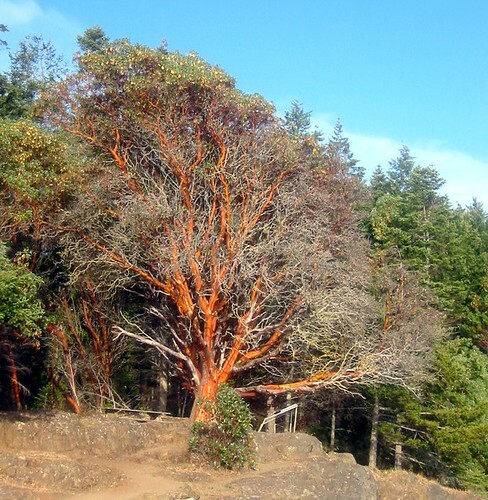 A beautiful tree, abundant on the west-coasts in Washington State. Locally referred to as the Madrona tree. I’ve attached 3 photographs below. The Seattle district of “Magnolia” is reportedly named after an entry in Captain Vancouver’s ships’ log where, from a distance, he mistook the Madronas for Magnolias. This scribble was published on Sunday, May 15th, 2005. You can follow any banter on this scribble with the RSS 2.0 feed. You can leave a response, or trackback from your own site.